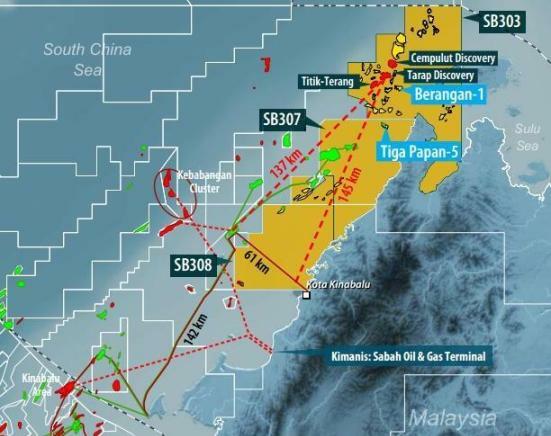 Sweden's Lundin Petroleum AB announced Friday that its wholly owned subsidiary Lundin Malaysia BV has commenced drilling of the Bambazon exploration well in Block SB307/SB308, offshore East Malaysia. The Bambazon prospect, located in shallow water and lies to the north of a major producing field in offshore East Malaysia, will target hydrocarbons in Miocene aged sands and is being drilled by the jackup West Prospero (400' ILC) to a total depth of approximately 4,101 feet (1,250 meters) below mean sea level. Drilling of the well is expected to take approximately 25 days. Lundin Malaysia has an 85 percent working interest in SB307/SB308, with partner PETRONAS Carigali Sdn Bhd the upstream arm of Malaysia's national oil company Petroliam Nasional Berhad (PETRONAS) holding the remaining 15 percent. Meanwhile, Lundin Malaysia has completed the Imbok-1 exploration well in the same offshore block. The well, which encountered minor oil shows, has been plugged and abandoned.